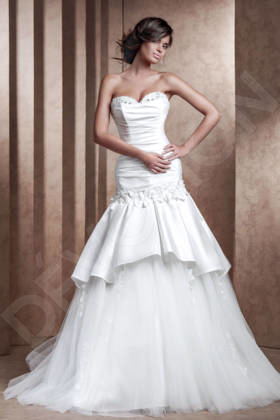 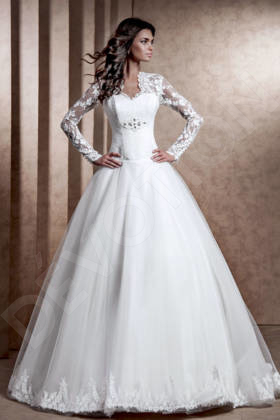 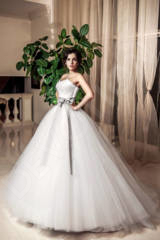 This magnificent wedding gown is a perfect choice for a subtle yet romantic bride. 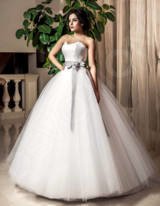 Its stunning silhouette is one for the books thanks to the layered skirt that is voluminous yet light. 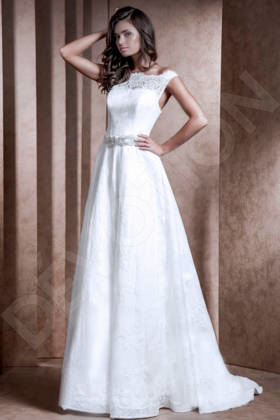 The perfectly fitting corset with Chantilly lace accentuates your waistline and amplifies your feminine features, and the wide belt with a bow adds a stylish finishing touch to your look. 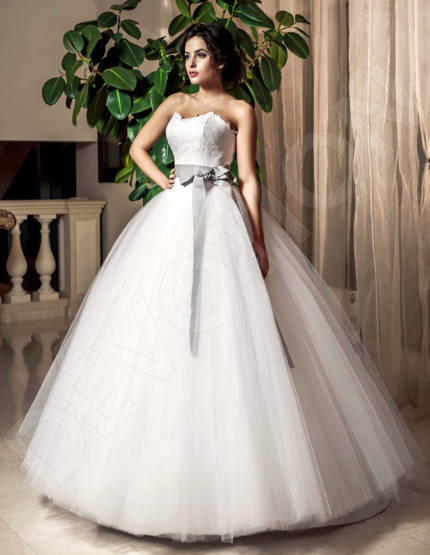 Be the most stunning princess there ever was in this elegant gown.